1 2 Gilbert, Alton. 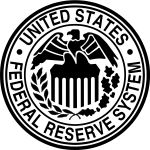 "Requiem for Regulation Q: What It Did and Why It Passed Away", Federal Reserve Bank of St. Louis: pp. 31-33. ↑ Michelle Minton, The Community Reinvestment Act’s Harmful Legacy, How It Hampers Access to Credit, Competitive Enterprise Institute, No. 132, March 20, 2008. ↑ John Atlas and Peter Dreier, The Conservative Origins of the Sub-Prime Mortgage Crisis, The American Prospect, December 18, 2007.